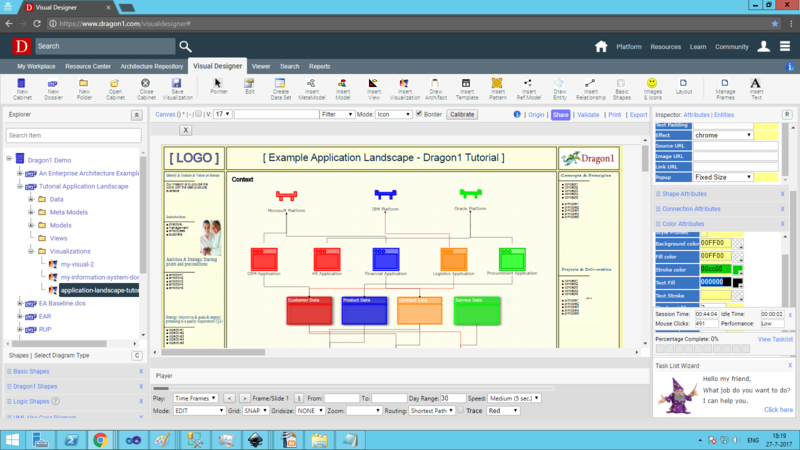 The Dragon1 modeling language enables to model business processes and information systems (applications) in detail. 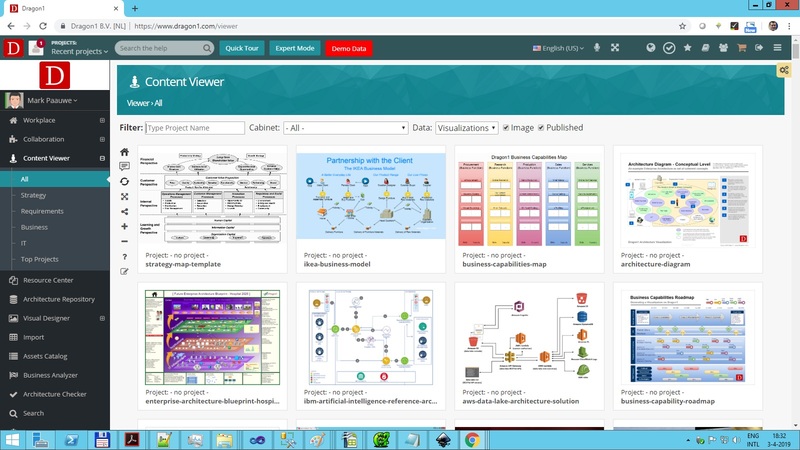 Business Processes can be modeled with input, output, indicators, responsibilities, activities, tasks, procedures, work instructions, decisions, events and gateway. 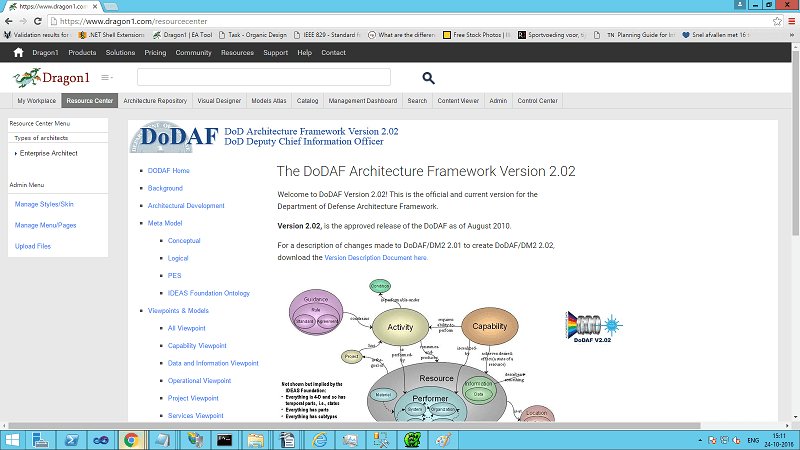 Information Systems can be modeled with applications, modules, components, databases, interfaces, documents and people. 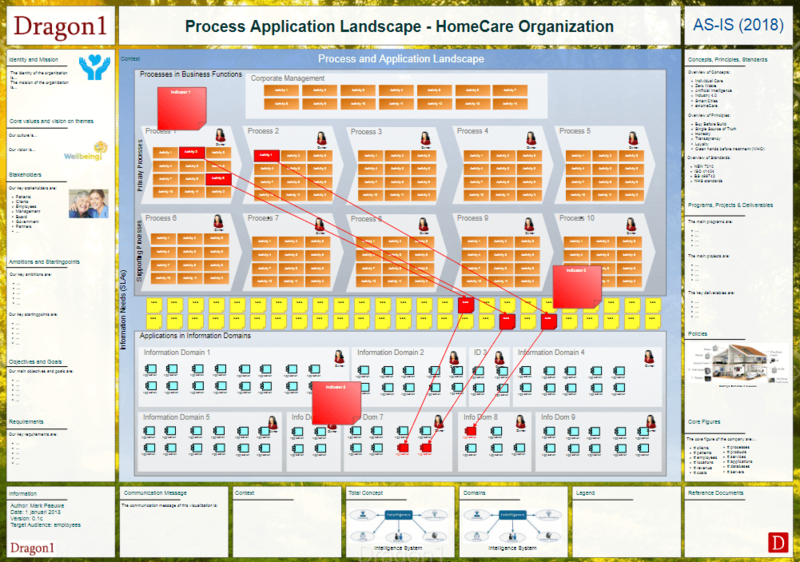 This picture shows a process landscape related to an application landscape. 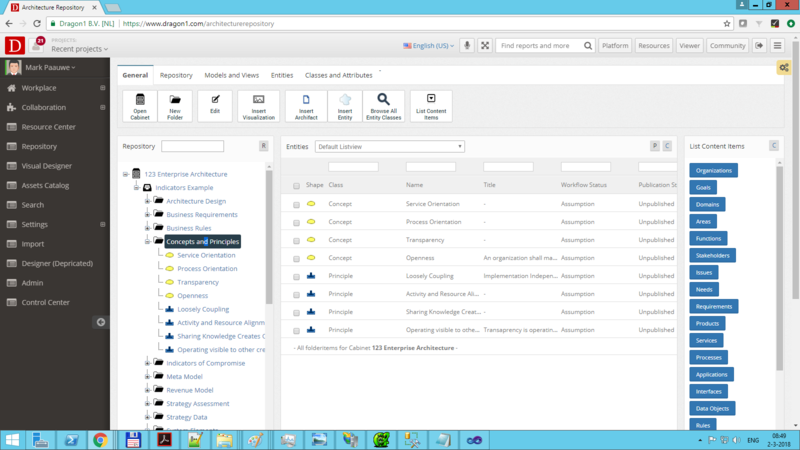 The dependencies of processes to applications is shown. An overview like this is necessary in any organization to analyze beforehand the impact of changing processes and applications. You will create this landscape by using one web application on Dragon1: The Visual Designer. If you do not have the time and you need a Process Application Landscape on short notice, we can create a Landscape for you.